The 2014 Chevrolet Volt is a plug-in hybrid, meaning it can run for a limited time at full speed solely on electric or use its gasoline engine for power. With a pure-electric range up to 38 miles and total range of 380 miles, the Volt gives you the best of both worlds and looks pretty darn cool in the process. Best car I could ever own. Just what I need for me with driving. 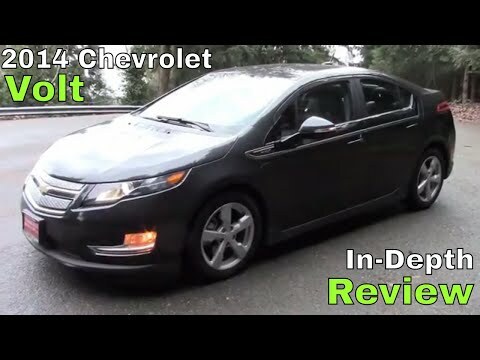 I really love the Chevy volt I just got it yesterday from the car dealership and it is the best thing I can drive. It is not a gas guzzler at all. When you plug it in at home and let it stay overnight you have a full charge and you can go 50 mi on a single charge when the battery is done then it switches to gas. For what I pay for fuel now this is a major step and really cutting the budget when it comes to gas because the prices keep going up. My car has all the bells and whistles that go along with it. What I really like is the safety features with everything you can think of and more. It is a very safe car and it handles well in both country and city and highway driving. Excellent in snow, wonderful features, but a bit confusing. The Chevy volt does not have Bluetooth, but has a AUX cord. It is nice to drive, excellent in snow. The car likes to roll, which helps so much in ice. The trunk is a nice size, plenty of room. There are quite a lot of settings to personalize it to your settings, but very confusing at first. The charging is amazing, although the gauge feels as if it loses charge way to fast. The autostart is nice, as are the heated seats. Maintenance is very expensive, and you can't trust Chevrolet. Since it is an electric hybrid only certain Chevrolet dealers can do the mechanical and routine maintenance work. Many dealers charge fraudulent prices, and you are either forced to pay or spend a week going through the corporate office which will eventually force the dealer to charge you a reasonable rate. This is not a headache any normal person wants in a vehicle. Buyer beware.